As a PTA, we feel it is important to minimize the constant requests for funds and materials from parents. Therefore, our fundraising policy is fairly strict; we focus on two major fundraising campaigns each year. We do not ask our parents to help their children sell things to raise money. This academic-centered program incentivizes students to remain engaged with learning over the summer months by setting goals, seeking sponsorship, and tracking their progress. 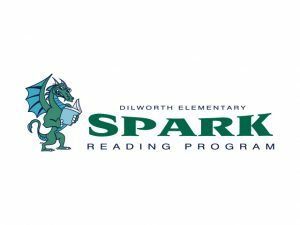 The funds raised by SPARK go primarily toward the PTA operating budget and fund things such as field trips, grounds maintenance, teacher discretionary funds, staff appreciation, support for the art and music performances, DragonFest, and our Spring Arts Showcase. This traditional capital campaign begins in March and runs six weeks. Funds raised through this campaign go directly to the school to purchase equipment and materials well beyond what is provided by CMS. These funds enable our teachers and staff to provide our students with the best possible academic environment. Additional technology, ongoing staff development/training, media resources, building and grounds enhancements, student field trips, and scholarships for school activities and enrichment opportunities are a few areas that benefit from our Tip the Scales campaign. With both of our fundraisers, our goal is to achieve 100% participation. We encourage you to donate at whatever level is meaningful to your family. No amount is too small.